Collage is such an exciting and luscious artistic medium, and children, in particular, love the freedom and artistic expression that comes with its random effects. Even the littlest fingers can tear and arrange paper, and create striking imagery that's sure to secure prime position on the fridge. 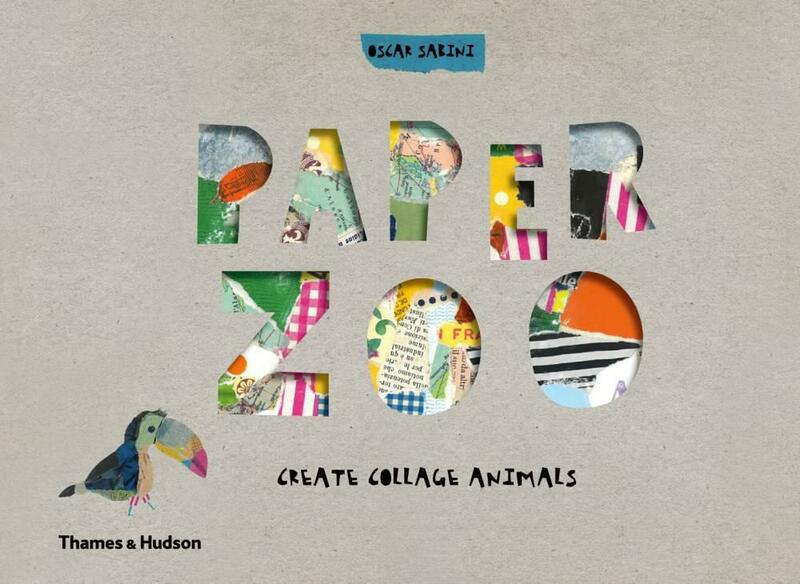 In Paper Zoo, illustrator Oscar Sabini has created a sort of templated system whereby kids can get busy with lots of tearing and paper-arranging, before sliding their creation into a page pocket with an animal shaped cut-out, revealing said animal completely collaged with bright, patterned paper. Of course, the child can then slide the same page in upside down, creating a whole new effect. At the back of the book, Sabini has provided a selection of gorgeous papers for kids to work with, and he encourages his young artists to find their own additional papers and textures to add to the look. There's even a special page at the back of the book where all animals combine for a 'photo session'--encouraging kids to take photos of their creations and so catalogue their various creations. 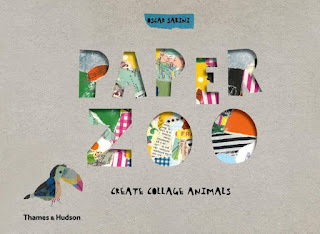 Beautifully designed and thoughtfully produced--Paper Zoo is sure to encourage the inner artist in any child.